One of my all time favorite foods is enchiladas. I just can’t get enough of them. It is hard to find a good beef enchiladas recipe that tastes similar to what you would get in a restaurant.This recipe is the closest I have found. I was lucky enough to live close to an extremely good Mexican restaurant when I was growing up. Now that I live in a different city, all of the other restaurants I have tried just don’t compare, and I have tried a lot! I needed a recipe that was similar to what I was craving! 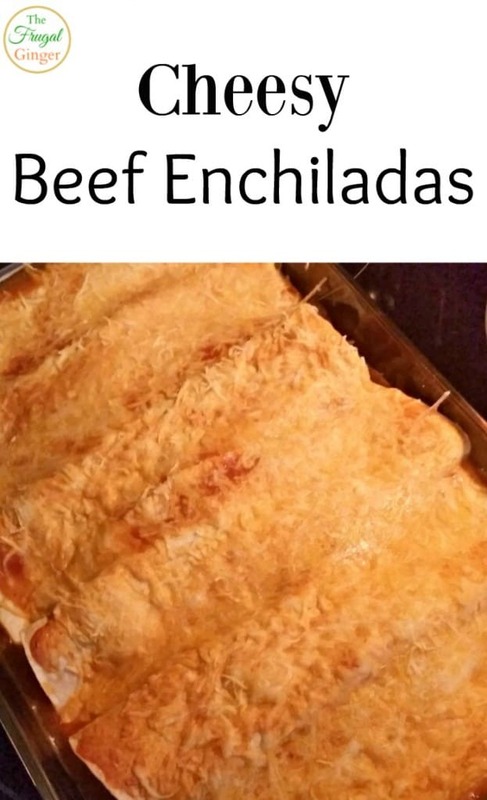 I stumbled across this beef enchiladas recipe from The Pioneer Woman (love her!) and I did tweak her recipe a little to suit my family’s tastes. What I love about this recipe is that it adds a bit more flavor then just using a canned red sauce but it is still quick and easy to throw together for a delicious weeknight meal. Combine the canola oil and flour in a saucepan over medium-low heat. Whisk together and let simmer for about 1 minute. Add in the enchilada sauce, chicken broth, and salt. Let simmer while you prepare the meat. Brown the meat and chopped onion in a large skillet on medium-high heat. Drain the fat and set aside. Spread 1/2 cup of sauce in the bottom of a 9 x 13 baking dish. Add the beef mixture in the center of a tortilla. Top with cheese and roll up tightly. Place seam side down in the baking dish. Repeat for the remaining tortillas. These were really good! I used cheddar cheese for the filling of my tortillas but used colby jack to sprinkle on top. You can also add extras to your filling like: olives, green onions, cilantro, chilies, salsa, etc. 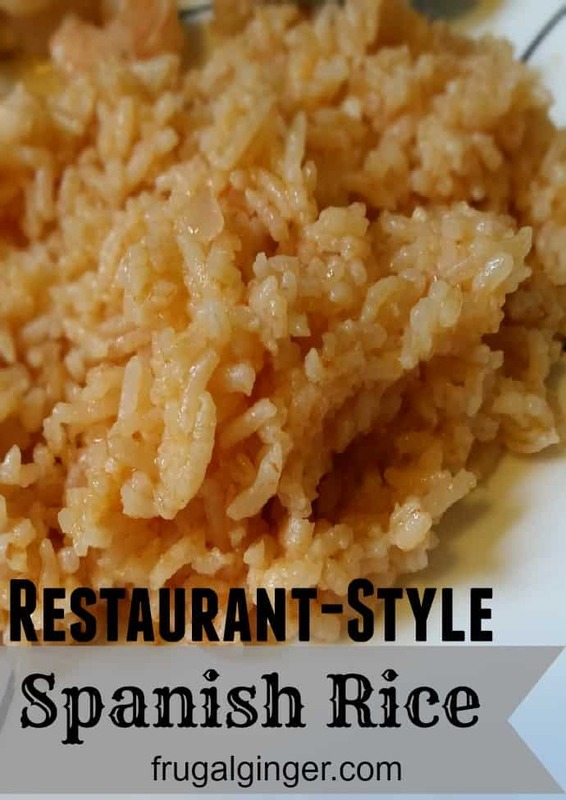 Just use this recipe as a base and tweak it to your tastes. If you are looking for a side dish to go with these beef enchiladas, check out my restaurant-style Spanish rice. It goes great with these!